The Canadian West offers travellers an experience quite unlike that of Central and Eastern Canada. The Eastern Maritime provinces sit on the Atlantic, featuring a strong seafaring history and natural beauty of its own kind. Central Canada is the cultural hub of the country, with most of the population and fascinating historical landmarks. The Canadian West, although it does provide urban pleasures in sophisticated Vancouver, for example, is known for its wilderness. The Rocky Mountains are home to stunning peaks, exceptional mountain resorts and a great deal of wildlife sighting opportunities. Meanwhile, the Pacific Ocean provides wonderful views and two excellent cities in Vancouver and Victoria. Travellers to Western Canada will experience a wonderful diversity of landscapes and culture. One way to explore the Canadian West is to start out in Vancouver. Vancouver, on the Pacific Rim, is often regarded as one of the best cities to live in anywhere in the world. With its renovated historical districts such as Gastown, its thriving culture and arts, its beautiful waterfront and mountain views to add to its appeal, Vancouver will not disappoint. From there, travellers can easily venture across the Georgia Strait by ferry, reaching Vancouver Island. The Island is home to the provincial capital of Victoria, with its very British atmosphere, remarkable Parliament buildings, historic hotels, lovely waterfront and many other appealing aspects. The ferry ride across provides excellent views, passing picturesque islands. After returning to the mainland, travellers can travel by road to Whistler, among the best-known of the many excellent Canadian mountain resorts. From there, the journey can continue on to Jasper National Park, home to wildlife including bears and elk, as well as a cable car that travels up to wonderfully scenic heights. From there, travellers should head south along the famous and beautiful Icefields Parkway before reaching Lake Louise, a remarkably beautiful glacial mountain lake. Such a journey should end in Banff, another well-known mountain resort with stunning scenery, excellent dining and many opportunities to shop or venture into the surrounding nature. As the largest independently owned specialist tour operator in the UK, Newmarket Holidays has steadily been building a reputation for offering quality escorted holidays and good value for money. Moreover, it has been doing so for over 30 years. The company offers escorted holidays, departing from the UK and covering much of Western Canada’s most beautiful nature and engaging cities. Canada is the second largest country in the world by total area. It is also not too heavily populated, with the population largely concentrated in a few major cities. The result is a country that can offer urban pleasures but also unspoiled, stunning wilderness. Landscapes range from the gushing Niagara Falls to the Rocky Mountains with their immense peaks, mountain towns and placid glacial lakes. Canada has territory on the Atlantic, Pacific and Arctic Oceans, which means that there are also dramatic seascapes to behold. While the country is geographically massive, travellers can take in much of what it has to offer with only a relatively short flight and ground travel through dramatic mountain territory. If going from east to west, travellers can also take a ferry across to Vancouver Island, home to British Columbia’s distinctly British capital of Victoria. Newmarket Holidays is a leading specialist tour operator that has decades of experience in providing comfortable travel options at genuine value for customers’ money. This UK company now offers a Canadian journey that will take travellers from Toronto and French-Canadian Quebec to the Rocky Mountains of Alberta on to Vancouver, British Columbia, with an option to travel to Victoria on Vancouver Island. Complete with comfortable accommodations and travel, the trip covers many of Canada’s highlights. Travellers to Canada should begin in Toronto. The city is Canada’s largest by population – cosmopolitan and bustling yet compact, with many shopping and sightseeing opportunities. Niagara Falls is not too far away from Toronto, featuring thunderous waters and remarkable natural beauty. From there, travellers can pass through the Canadian capital of Ottawa heading for Quebec’s major city, Montreal, with its distinct atmosphere that combines Europe and North America. Quebec City, with its cobbled streets and ancient ramparts, gives a sense of the province’s history and is deservedly UNESCO-listed. From Quebec, travellers usually fly over much of the country’s middle part, reaching the stunning Rocky Mountains and the mountain base of Banff. From there, a popular option is to travel north and into British Columbia through Jasper National Park, seeing Lake Louise along the way, before continuing on through British Columbia to the coastal city of Vancouver. Vancouver features a remarkable waterfront, renovated historic districts and is frequently voted one of the world’s top cities. There are a number of ways to cap off a visit to Canada, but none better than the capital of British Columbia, elegant Victoria, situated on Vancouver Island. There is something simply marvellous about attending live theatre performances. From the most devastating tragedies to uproarious comedies, theatre means culture, refinement and entertainment for hundreds of thousands of people. On a Newmarket Holidays guided holiday, take in the sights and sounds of London, visiting shops, galleries and museums. Then take a seat for one of the hottest theatre performances in the city. Newmarket Holidays offers 2-day London holidays by coach, offering superb value to its customers for a romantic getaway or well-earned short break. 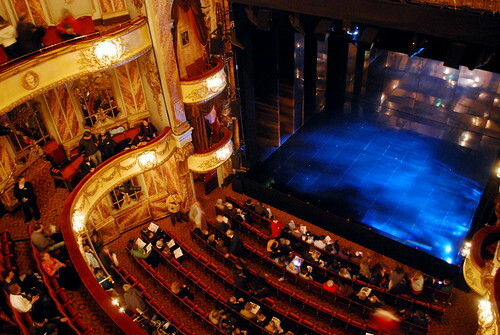 Customers can enjoy a matinee showing of a popular theatre show, shop to their hearts’ content and see the sights. In addition, dinner and dancing, and a stay at a beautiful London hotel, make this a trip to enjoy. This 3-day holiday by rail offers travellers the best of both worlds – shopping and culture. Newmarket Holidays offers a selection of brilliant musicals to choose from with top-price tickets for excellent seats at the evening performance included. Two nights’ stay in a good quality London hotel and full English breakfasts offer relaxation after time spent attending galleries and museums, or shopping at London’s famous stores. Newmarket Holidays’ super-value 2-day break brings travellers to London by coach, booking them into a four-star hotel. Newmarket Holidays offers a variety of popular live theatre shows to choose from when booking, ensuring customers get to attend a performance that suits their tastes. Travellers have the option of enjoying an Early Bird meal at a themed restaurant, such as Ruby Blue, before attending their chosen show. After an English breakfast the following morning, travellers have time to explore and shop before returning home. Newmarket Holidays realises any holiday is only as good as the place its customers lay their heads. On each Newmarket Holidays theatre break, customers are booked into a four-star hotel offering rooms with en-suite bathrooms, TV and telephones. Hotels used have good restaurant and bar amenities. In addition, many hotels offer swimming pools and leisure centres for their customers’ enjoyment. In this busy world of instant communication, direct information and immediate gratification, life is stressful. Getting away for a day or two is a terrific way to decompress, relieve stress and enjoy life again. Newmarket Holidays offers an array of short break to long-term holidays at great prices, and its caring Customer Services Team is there to take care of the details. From attending a live theatre performance, exploring museums and other cultural places, to taking part in London’s lively nightlife, Newmarket Holidays offers holidays to suit any tastes. This 3-day coach holiday offers an unforgettable break in “Europe’s Happiest Place”. Newmarket Holidays provides customers with a 2-night stay and continental breakfast at a 3-star hotel near Disneyland, tickets to Disneyland Park or Walt Disney Studios Park, and the services of a helpful Newmarket representative. For the kids, the fun starts with the excitement of crossing the Channel to France, where travellers continue by coach to the hotel in Paris. 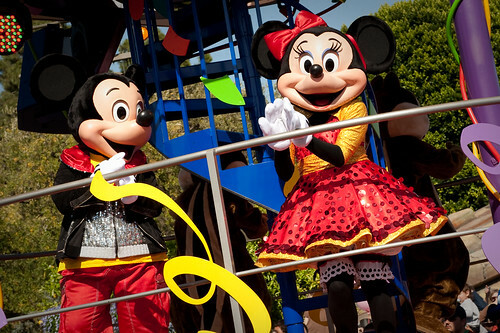 Newmarket Holidays offers a 3-day coach holiday to spend the Christmas season with the Disney characters. During this special time of year, the entire Disney Park is dressed up in a sparkling holiday mantle. The shimmering lights, fairy-tale snowflakes and colourful decorations add a breathtaking element to an already awe-inspiring view. This Newmarket Holidays break includes coach transportation, channel crossings and a 2-night stay with continental breakfast at a Disney Resort Hotel. Also included are 1-day Park Hopper tickets, which allow unlimited access to both the Disneyland Park and Walt Disney Studios Park. The excitement builds as the coach approaches the park entrance, with its fairy-tale visage and colourful flags flying in the breeze. Once inside, the bright colours of this magical kingdom inspire awe, and encourage even the most stoic of adults to believe. This day is fun-filled with exciting rides, such as Space Mountain, Indiana Jones and the Temple of Doom, and Big Thunder Mountain. For families with younger children, classic attractions such as Autopia, Dumbo the Flying Elephant and the Mad Hatter’s Tea Cups reign supreme. Between rides, travellers can enjoy browsing through numerous shops, and hunt for the Disney characters to get a memorable photo. When hunger strikes, guests will find that Disney is home to a wide variety of eateries, including buffets, sit-down restaurants and food to go. The Dining with Characters Experience is an optional attraction that children simply love. Whichever Disney holiday customers choose, Newmarket Holidays is dedicated to providing quality entertainment at a great price, and its helpful Customer Service Team is always available to answer questions and offer helpful advice, allowing customers to relax and let the Disney magic take over. Italy is the home of fascinating historical sites, ancient ruins and fascinating art, but some of the most beautiful sights in Italy are its cities. Join a Newmarket Holidays guided tour of this magical country, visiting seven of its most stunning cities. During this eight-day, seven-night tour, a friendly Tour Manager guides travellers through the best each city has to offer. Home to the famed setting of Shakespeare’s “Romeo and Juliet”, Verona offers historic churches and stunning piazzas for travellers’ sightseeing entertainment. The opera season held in Verona’s Roman ampitheatre is an annual event not to be missed, and, truth be told, Verona is incredibly romantic. There is no doubt Venice is one of the most beautiful cities in the world. From distinctive architecture to the fact that the entire city is built on canals, Venice has something to offer virtually everyone. A gondola ride through Venice’s meandering waterways, a visit to St. Mark’s Square and Cathedral, and experiencing the mysterious charm of the Palace of Prisons and the Bridge of Sighs are but a few of the recommended activities while in Venice. With its graceful architecture, cobbled streets, the Palazzo Vecchio and Duomo cathedral, there is no mystery as to why the city of Florence inspired so many artists. Explore the basilica of Santa Croce, with its remarkable memorials and tombs, and see Michelangelo’s David in the Accademia. Many are of the opinion that Siena is Italy’s most captivating city, though Florence has competed for this title in travellers’ hearts for many years. This is simply a preference for either Florence’s Renaissance-inspired or Siena’s Gothic architecture. Siena’s hilltop citadel of San Gimignano is a must-see on this tour. Today, Rome is the contemporary capital city of Italy. It is, however, filled with interesting monuments, ancient medieval churches, Renaissance palaces, stunning fountains and awe-inspiring museums. Enjoy sight-seeing in historic places by day, and then enjoy the city’s bustling nightlife in the evening. Located in the region of Umbria, the town of Assisi is indeed one of Italy’s premiere destinations. Birthplace of the Catholic St. Francis, Assisi offers striking medieval architecture, ancient ruins and a picturesque hilltop castle from which to view the entire valley. The tomb of St. Francis of Assisi, located at the San Francesco Basilica, is a highlight of this tour. 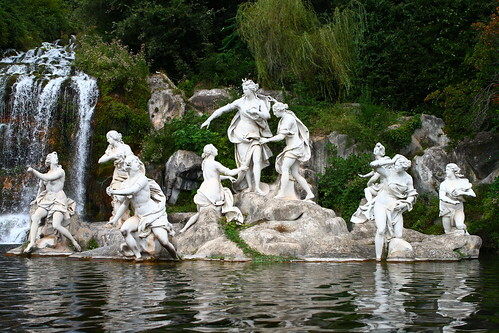 There is perhaps no more romantic or relaxing region to visit in the world than Italy. Newmarket Holidays‘ website offers a host of information on all of its tours, and its helpful Customer Service Team is ready to help customers book their holiday with just a simple telephone call.